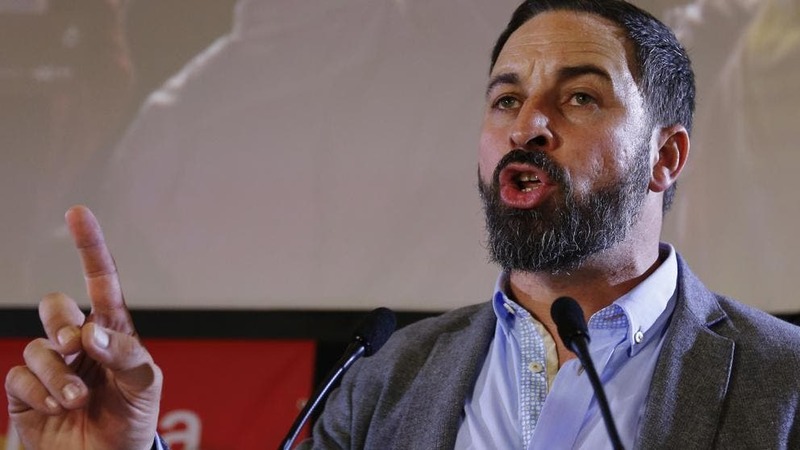 SPAIN’S far right Vox party could form part of the national government if an election was held tomorrow, a new poll has revealed. The PSOE would win the most votes, but it would have to form a coalition with Unidos Podemos and others to get the majority needed to form a government. However the conservative Partido Popular could also form a government by creating a pact with the centre-right Ciudadanos and far-right Vox. According to a poll prepared by Sigma Dos for Antena 3, the PSOE would pick up 24.1% of the vote, followed by the PP with 21.2%, Ciudadanos 18.4%, Unidos Podemos 16.7%, and Vox with 9.2%. The results suggest the PSOE would increase their voter share by 1.4 points compared to the general elections of 2016. The PP, despite losing 11.8 points, would remain the main opposition force, while Ciudadanos would gain 5.3 points. But Vox would see the most surprising surge, picking up 15 to 17 seats and winning almost 10% of all votes. While the next general election is not scheduled until 2020, some 47.2% of Spaniards think current prime minister Pedro Sanchez should call a snap vote in March, according to the survey.